The "micro-blogging" social network, Twitter allow users to have snippets of conversations or short posts that can be seen by everyone else on the network. And it's often a fun place to be for most people, especially for humor mongers and sheer gossips. While Twitter has become home for groups of attackers who target people for whatever reason, there isn’t previously much tools to take-on such harassment or abuse. But lately, Twitter has rolled out a variety of tools, which can keep the service usable even when you're a direct subject of attacks. First on the list, is the filter tool which allows you to select topics you’re not interested in, like sports events or any specific team. Albeit, Twitter’s filtering and blocking tools doesn't do much to categorize messages, such as using machine learning to group tweets by subject or hash tags, but it's obvious that Twitter analyzes all the messages that pass through its systems, as it offers data derivable from such analysis. Also, the new Quality Filter uses “signals,” like mentions to recognize those people who have passed through Twitter’s verification process of proving that they’re both who they say they are and have a reason to protect themselves against impersonation. Twitter mute option in contrast with blocking a user (blocked user can’t follow you, like or retweet your messages or see your tweets) still permit muted account to follow you and engage in other behavior, but you’re not notified of any of it as they don’t show up in notification or timeline. Additionally, the Twitter website and its official mobile app, allows you to use a variety of ways to report an account, a tweet or even a Moment. 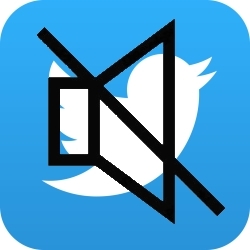 What's the use for Twitter mute, report, and filter tools? While in 2014 the overriding idea was all about how the U.S. consumers would soon be paying at checkouts using a smartphone, and mobile payment or e-wallets were getting all the hype. And most financial institutions, payment networks, retailers, wireless operators and startup tech companies immediately took to mobile app services that could be used at a point-of-sale terminal to pay digitally. Now, fast forward to 2016, whereas in-store mobile payments accounts for just 0.6 percent of the roughly US$ 4.65 trillion in sales for 2016, according to a report by eMarketer. The U.S. consumer adoption of mobile wallets has developed at a much slower pace than most industry experts had predicted, and it's growing sharply off of a low base in recent years. Then, one may be forced to ask, why mobile wallets and mobile payments have not taken off? In some ways, mobile wallets were the solution to a problem that never existed: POS terminals using magnetic stripe cards (and later smart cards) were perfectly efficient. The main reason that mobile wallets have not taken off, is that none of the mobile wallets on offer have succeeded in delivering a real value proposition to consumers, especially as regards checkout speed and/or financial incentives, such as discounts. And given the proliferation of mobile wallets, there were confusion at checkouts, as many merchants are not equipped to accept them all. Albeit, there was no clear financial benefit that would outweigh the costs of accepting card payments, which include interchange fees and the costs of installing POS terminals. Finally, the consumers are now more aware of cyber risks, and not all are convinced that enhanced security features such as tokenization offers sufficient protection against attacks. 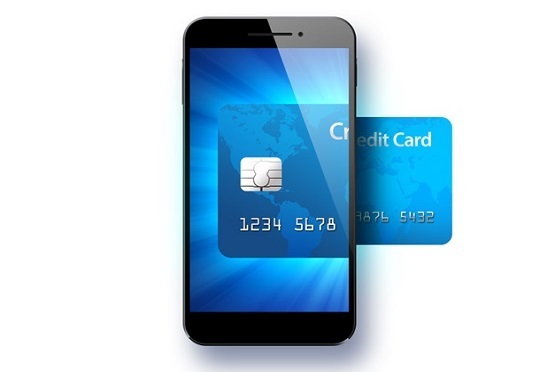 Why has Mobile Payment not taken off as envisaged? 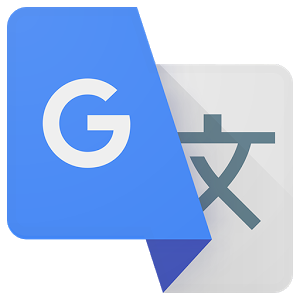 Back in September, Google announced a new system called Google Neural Machine Translation (GNMT), an end-to-end learning framework that learns from millions of examples, and thereby provides significant improvements to Google Translate quality. While Google Translate already boasts of great accuracy in language translations thanks to the built-in engine that can translate between any two languages, now the new improved system is even more dexterous in translation, able to render one language to another even if those two weren't paired previously. It uses a “token” at the beginning of the input sentence to specify the required target language, which in addition to improving translation quality, enables “Zero-Shot Translation” — translation between language pairs never seen before by the system. For instance, in a trained multilingual systems of Japanese to English and Korean to English samples, GNMT is able to translate between these four different language pairs, even though the system has never been taught to do so before. And the need to translate between multiple languages at the same time forces the system to better utilize its machine learning power. 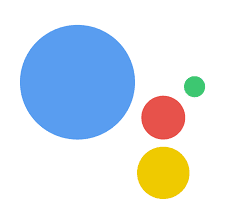 The Multilingual Google Neural Machine Translation system is already running for all users, and according to Google, this is the first time this type of transfer learning has worked in Machine Translation. The Redmond behemoth, Microsoft haven carried out extensive research on Quantum computing for over a decade, now, the company is putting the theory to work in creating actual Quantum computers. Microsoft is harnessing its extensive knowledge-base to build a working model of Quantum computer as it looks to the future of computing, on the model that Quantum computers can significantly outperform even today’s supercomputers. The company has handed Todd Holmdahl, developer of Kinect, HoloLens, and Xbox, the lead role in the effort to create quantum hardware and software. 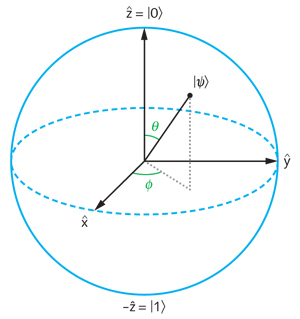 Microsoft has made available the Language Integrated Quantum Operations Simulator as a toolkit, while actual hardware will be released after a number of quantum computing issues, like: error correction, fault tolerance, and gating are resolved. While, the overriding objective remains to create quantum computers that can conduct a wide range of calculations, the ability to run existing programs much like today’s computers, is quite necessary. Microsoft Researchers have developed a working model on an entirely new topological quantum computer, which makes use of exotic materials to limit errors. Albeit, many questions still remains about the viability of such materials and outcomes, as it could take a long time to make practical quantum circuits. VaultCard is perhaps the most advanced RFID-blocking device designed to protect your wallet from digital criminals who skim data from credit cards, passports and driver's licenses. As most driver’s licenses, passports, and many credit cards rely on Radio Frequency Identification (RFID), with embedded microchips and radio antennas that can track your location and send a unique identifying number to any electronic reader, RFID-blocking products make it more difficult for criminals with electronic readers to skim data from your cards or passport. 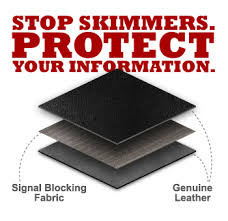 Albeit, RFID Shields aren’t bulletproof, Shielding attempts to block radio signals from reaching the tag by enclosing it within a container made of material that blocks electromagnetic signals in the RFID spectrum. While there are other products similar to VaultCard, the peculiarity of this RFID product is that the card itself has the dimensions of a regular ol’ credit card. And it's made to replicate those looks, complete with a serial number and hologram sticker. VaultCard's ability to protect RFID based smart cards information by giving you the legitimate RFID blocking security is unique as it switches on automatically when it senses the electromagnetic wave emitted by a RFID scanner. It employs same principle used in military jamming systems, the stronger the signal of the scanner, the stronger the jam signal that VaultCard will generate. This way your information remain protected from even the most powerful scanning devices. 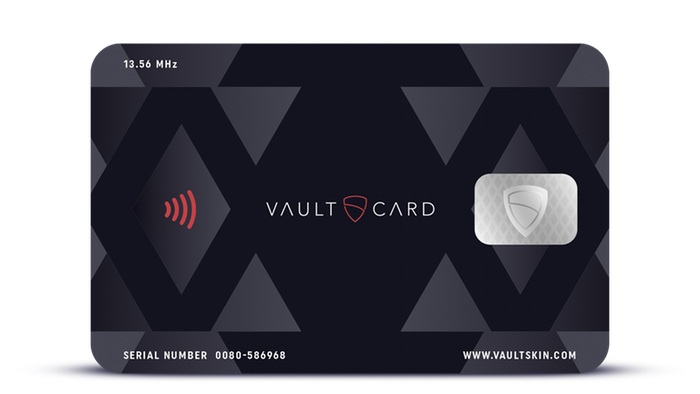 The product's Kickstarter campaign recorded huge success and most orders where carried out on the platform, but now you can get one at the pre-order price of £24.99 on the VaultSkin website. VaultCard in your wallet, will protect the smart cards inside from illegitimate reading of RFID chips at a distance using an RFID reader device, which downloads the card information. Though pretty late to the party, WhatsApp is adding video calling to its apps. With the likes of Skype, Facebook Messenger, Hangouts, and a couple of other services already offering video calling, the Facebook-owned company will be rolling out the new feature worldwide in the coming days. WhatsApp's new video calling feature will be available on Android, iOS and Windows Phone devices (Windows Phone 8.1 and Windows 10 Mobile). While details on how the feature will work is still sketchy, but with the current norm of secured communication, the video calling feature on WhatsApp will definitely be end-to-end (E2E) encrypted. WhatsApp haven already introduced E2E encryption for text and phone calls, and as with all other features from the service, video calling will be free too. The video calling interface on WhatsApp will be similar to Facebook Messenger’s, and will be displayed as a video camera icon next to your contacts’ name when the feature becomes available. 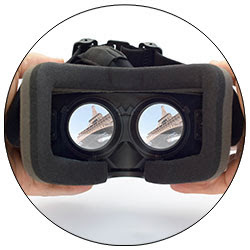 While virtual reality includes the technique in which artificial images or environment are created seemingly so realistic, and having you feel as if you're physically present in that environment. You'll not only experience the physical presence, but also interact with this artificially created space and objects. 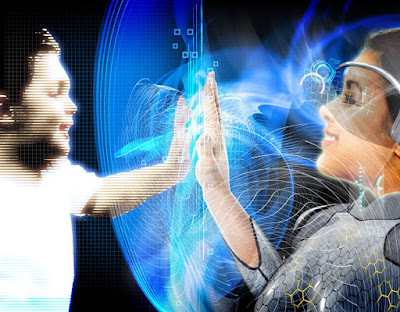 The virtual reality comes as “a realistic and immersive simulation of a three-dimensional environment” created using software and hardware, allowing user to walk around or interact with things created with the help of this simulation. It totally cuts the user from the external stimuli; therefore, the user focuses entirely on the digital world. Albeit, the technology has gone far, and there seems to be no slowing down, yet no one is sure where it will lead us; we can only predict and imagine because we are limited only by our imagination. And the utopian promise of Virtual Reality is that it will enable you to travel across the sunken ship in the depths of the ocean and it will let you climb the top of the snow-capped mountain. The concept of virtual reality isn’t new; in the past, there were many efforts to develop it but all the efforts were doomed to failure. The present is more promising; as there have been outstanding graphics and better head-tracking technologies. But very few people know about where actually virtual reality is actually headed. We arranged a meeting with an expert and discussed all the aspects of the future of Virtual Technology; below are some highlights of this conversations. Virtual Reality will get more and more physical. Anyone who has used the HTC Vive must be aware of the fact that there is some physical activity involved. And the Vive is equipped with sensors which allow you to play in an imaginary golf field, or using a Vive, you can move an imagined paintbrush. The physical activity is already introduced in the Virtual Reality devices; the endpoint is that it is going to increase considerably. The first area in which Virtual Reality is going to improve is motion control. And the next step is the participation; you won’t just keep on sitting and observing things around you, you will become an active participant. You will take part in the football team and will play with them. The elements of wind and smell will be incorporated in the future devices. While the current Virtual Reality devices make use of only two senses – sense of sight (visuals) and sense of hearing (Audio) – but in future, all the five senses will be incorporated and you will be able to smell, and touch as well, which will make this virtual reality more real than surreal. There are already many companies like Leap Motion and Startup Thalmic which are trying to incorporate these new changes. If you are interested in buying Virtual Reality devices, you can explore these on Groupon where you will get some discount as well. The Oculus Rift will always be remembered as the first Virtual Reality device; but, if the Virtual Reality industry is really seeking some progress, it will take more than just a single device to introduce latest and unexpected changes. It is a combined effort of many companies. 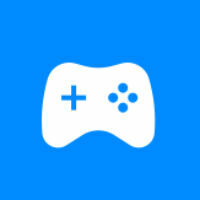 Gaming industries development in the past decade and which was as result of the improvement in the chips made by well-known companies like Intel, AMD, and Nvidia. The same effort of these companies, games have become accessible on PCs and everyone is rushing towards the gaming industry. In a similar manner, no company can achieve progress in Virtual Reality without collective effort. There are two types of virtual reality devices at present: the first category includes portable devices like Samsung Gear VR or Google Cardboard, and the second category includes more immersive and expensive devices like Rift and the Vive. Both these categories have different functioning mechanisms: the first category works wirelessly – all you have to do is put your smartphone in it. The second category devices function when you connect them to the PC because, for higher-end performance, they must be connected to the PC. Many people believe that the high-immersive devices like Rift and the Vive may go wireless in near future. However, the problem is that the wireless technology and the VR technology aren’t developing at the same pace. Wireless technologies have many complexities and it will take some time to solve these complexities and make them compatible with the VR technology. What's the Future Of Virtual Reality? The Uber mobile "app" allows users to submit a trip request, which the app then automatically sends to the driver nearest to the user, alerting the driver to the location of the user, while the drivers (denoted as "Uber partner drivers") make use of their own personal vehicles. 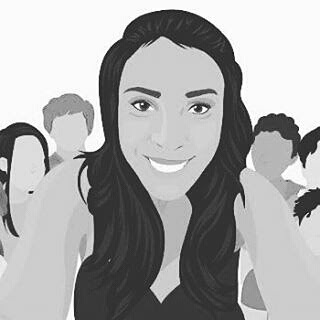 Uber services as at August 2016 is available in over 66 countries, including Nigeria and 507 cities worldwide. 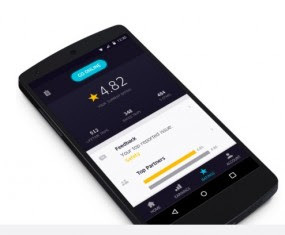 But, recently in Nigeria there has been a spate of Uber partner drivers account deactivation, owing mainly to amassed poor ratings (given by riders), which ranges from 4 stars and below. While the partner drivers are indirectly responsible for the poor ratings, there's really little they can do to influence favorable high ratings from riders to avoid account deactivation. And for the partner drivers who have fallen victim already, there's hope to regain your account, and return to full service. Uber has made it mandatory for every failed driver (partner driver with account deactivated) to undergo an online test, which can be accessed at the web address: http://t.uber.com/ssa_online and drivers are required to input their full name, with mobile number to match their Uber account details. The online test comprises 7 different sections, and modules that covers general knowledge questions about the Uber Driver app, including the best practice for Uber drivers and safety procedures. If successfully, the 90% mark is attained, you'll have to wait for only 24hrs to have your Uber driver account restored. Microsoft’s obnoxious reminders which were presumably rested on Windows 10 deadline, is back again, as pop-ups reminding users to sign up for Microsoft Rewards in using Edge, the Windows 10 default browser. While many users are already irritated by the rather infiltrating ads, reporting it on Microsoft feedback system, insomuch as even removing Edge from their toolbar. Albeit, the popads don’t appear frequently, Microsoft’s sneaky promotions for Office products since Windows 10 launch, which many users had turned-off via settings, was reset with its Anniversary update, dashing the hope that Microsoft’s obnoxious popup reminders had finally been laid to rest. 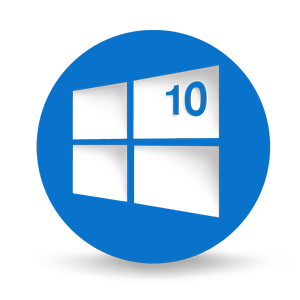 Though Windows 10 remains “free,” there’s obviously a price for claiming your no-cost upgrade from Windows 7 or 8 - Microsoft's sneaky ads designed to coax you to buying into their apps or using other Microsoft services. What's the heck about Microsoft's Windows 10 Pop-up ads? 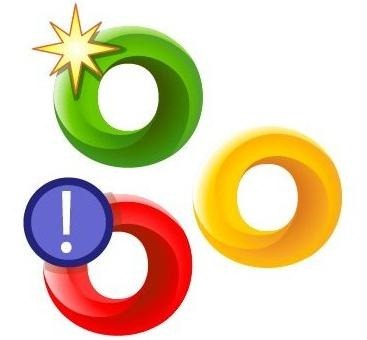 Microsoft’s woes continues, as over 39 million users have moved from using its browsers, according to web analytics report by Net Applications, which for October, recorded a fall of 2.3 percentage points, the second-largest ever for Microsoft’s browsers, behind only May’s lose of 2.7 points. The report pegged the combined user share of Internet Explorer (IE) and Edge at 28.4% for October, while IE has shed 20.2 percentage points in 2016 alone. Microsoft’s bane, surprisingly isn't Chrome, rather Mozilla’s Firefox has usurped its usage share by nearly 2 percentage points, to 11.1%. Firefox has wiped out a year's losses in just two months, and recovered almost all the losses it incurred during the past year, with the increase for September and October pretty unprecedented. Albeit, Microsoft deserters had previously ended up as gain for Google’s Chrome, the gains has slowed the last two months, as Chrome upped six-tenths of a percentage point to its share in October, over a third of the average for the last 12 months. While Net Applications’ data for browser user share puts the collapse of IE and Edge in terms of millions of users, as at the end of October, IE and Edge have approximately 466 million users, down by 40 million from September’s 506 million. 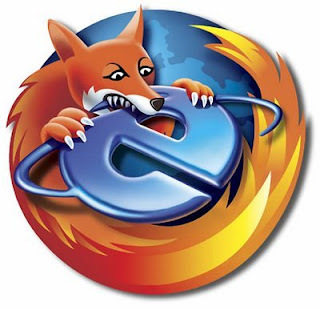 The data may perhaps represent an adjustments for Firefox’s performance, and thus the steady decline it previously portrayed for the year, which since January 1, IE and Edge have lost about 331 million users. Twitter feature that aims to help users catch up on the best tweets from people they follow, rather than the norm of real-time update to timeline, has finally arrive to Apple's mobile platform after over a year on the Android. The Highlights is update to tweets in reverse chronological order, and based on your previous behaviors (reply, Retweet, or like), present the feeds you’re most likely to care about at the top of your feed. While the Highlights feature presents conversations and popular tweets within your network as well as topics and events that are trending in your location, it learns more as a user interact with the tweets, meaning the more you use it, the more accurate the suggestions get over time. The rolling out of the Highlights feature requires users on Apple's iOS devices to opt-in to the feature, which Twitter will notify you through push notification twice a day to let you know your Highlights summary is ready. And to enable Twitter Highlights on iOS, simply tap on the gear icon, go to settings, tap notifications and then mobile notifications. 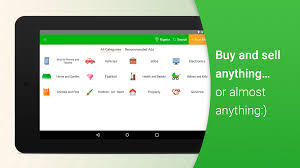 Jiji.ng is perhaps the biggest classifieds website in Nigeria and a reliable marketplace, which can completely change your understanding of online shopping. Items like shoes and clothing, phones and laptops, even "tokunbo" cars – can be bought, all in one place, as well as to find a new property and a job. The marketplace already serves about 600,000 ads, and 5 new ones appear every minute with a staggering traffic stats of 15 million visits per month and 4.6 million regular users. While low prices without additional charges and confirmed real sellers, whom you can communicate directly for no extra fee, stands it out from the competition, with the convenient search mechanism and sophisticated security systems in place. 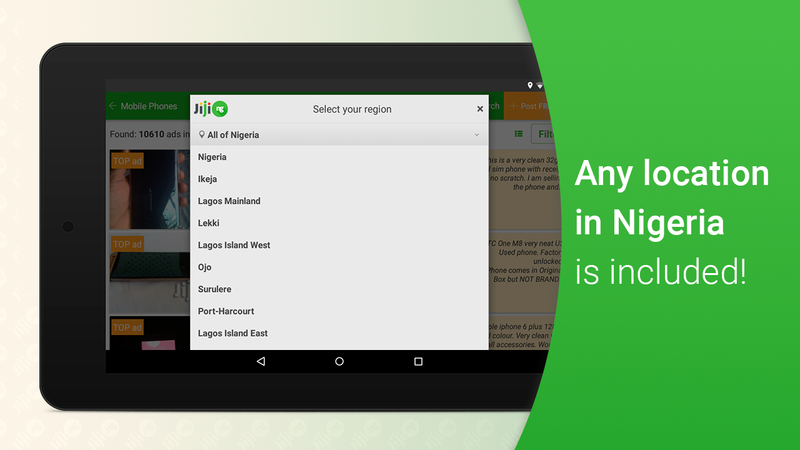 Meanwhile, with the proliferation of smartphones and mobile devices, Jiji.ng is very much in line with the trends, as its app is amazingly coded to be fast and easy to download and install. And it doesn’t directly interfere with the functionality of your Smartphone, with low data and traffic usage, the app which is obviously free offers huge selection and numerous search options, while occuping just a little space. 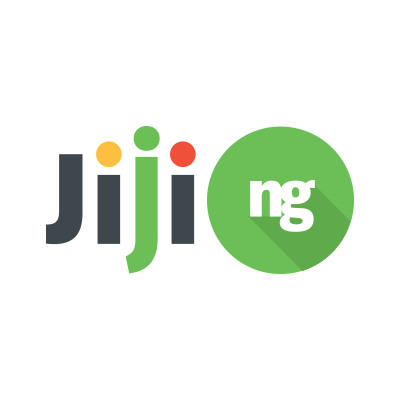 To start enjoying Jiji.ng benefits right now, download the Jiji App and experience the shopping convenience on your mobile device.